Ethereum prices have plummeted over the last week, experiencing a drop in value of over 30% amidst a bloodbath that has shaved $50 billion off the cumulative cryptocurrency market cap. With ETH prices hovering around the $200 mark, Ethereum co-founder Vitalik Buterin announced the end of the age explosive growth within the cryptocurrency industry. Buterin’s statements, released to Bloomberg earlier this week at a Hong Kong blockchain conference, reinforce the Ethereum founder’s technologist perspective on the cryptocurrency market — Buterin has previously emphasized the negative impact of rampant speculation on the blockchain ecosystem. The blockchain space, states Buterin, is reaching a point where there’s a ceiling in sight as the average educated person has “probably heard of blockchain at least once.” Buterin isn’t wrong about the rapidly increasing level of international blockchain awareness — recent statistics released by the American Institute of Certified Public Accountants (AICPA) reveal that more than 50 percent of all Americans are aware of cryptocurrencies. As consumer awareness of blockchain technology and cryptocurrency reaches a saturation point, argues the Ethereum co-founder, the possibility of capturing an opportunity for 1,000-times growth in “anything in the space” is virtually nonexistent. Buterin’s statements have exacerbated a sharp and sudden drop in Ethereum prices, with ETH breaking the $200 floor to $188 on Sunday, a low not seen since July 2017. Investor confidence has been shaken further by concerns of a potential “ICO dump” that would see hundreds of millions of dollars worth of ETH flood the market as initial coin offerings liquidate large sums of Ethereum in an attempt to minimize losses. The future of Ethereum, states Buterin, depends not on marketing efforts geared toward further adoption but instead depends on focusing on generating interest in the real-world applications and economic benefits of blockchain technology. Blockchain technology may promise to decentralize virtually everything and provide consumers with the tangible economic benefits that Buterin states will drive interest in the blockchain industry — but the Ethereum project is not yet at a stage of development at which it is able to support large-scale consumer interest. The primary obstacle faced by the Ethereum project is scalability. There are already hundreds of decentralized applications that are able to present a strong use case and a functional proof of concept, but the Ethereum network, touted as the go-to platform for dApps, is currently unable to support dApp use at scale. Earlier this year, the Ethereum network was severely handicapped by the actions of a single cryptocurrency exchange. Creating a network that is able to support the same level of use as Uber, for example, would require a significant upgrade to current Ethereum technology. 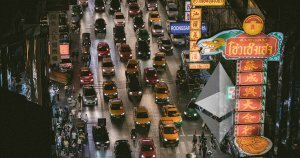 With Uber boasting over 4 billion rides booked per year, any dApp aiming to compete on the Ethereum blockchain would require a transaction throughput far higher than what Ethereum currently offers. The future of Ethereum scalability, however, looks bright. The Ethereum 2.0 Roadmap, recently revealed by Rocketpool, features second-layer scaling solutions and a Proof of Stake consensus mechanism that is set to significantly improve Ethereum transaction throughput speed. Ethereum co-founder Joseph Lubin, speaking at Asian tech conference Rise on July 10, highlighted the scalability impact of the Ethereum 2.0 scaling solutions — once implemented, Ethereum’s Plasma and Sharding scalability solutions will deliver hundreds of thousands of transactions. While Ethereum may not currently be able to support widespread adoption in the way Buterin envisages it, the technological foundation upon which the future of Ethereum will be built is being developed at a rapid rate. 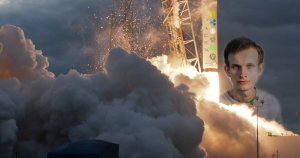 The post Vitalik Buterin Proclaims an End to Explosive Growth as ETH Values Plummet: How Will Ethereum Recover? appeared first on CryptoSlate.